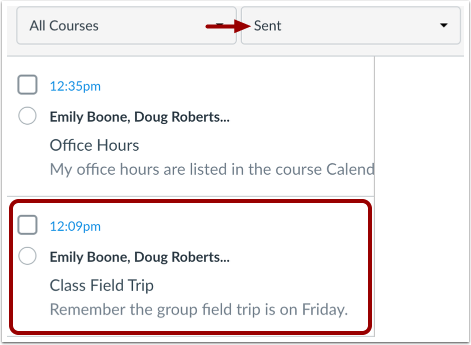 You may be able to use Conversations to send a message to all users in a course, all users in a specific role, or all users in a group. Messaging all users is a course permission. If you cannot send a message to all users, your institution has restricted this feature. Once your course has concluded, you cannot send a message to all users. 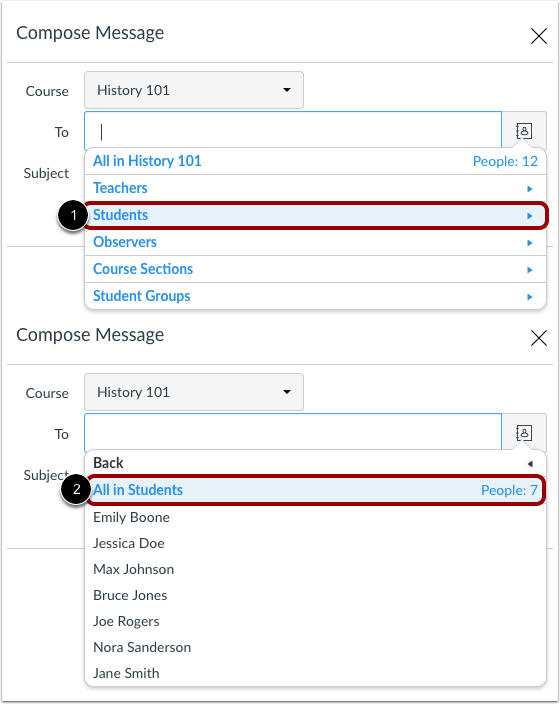 Users display in Conversations once they have an active enrollment in the course, and users cannot join a course unless it is published. 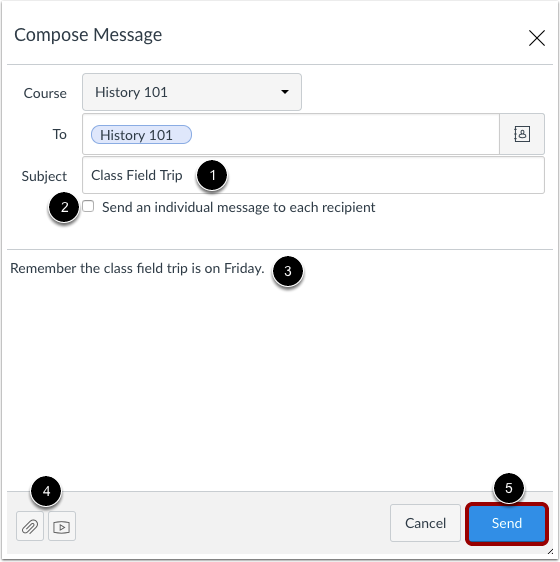 In the course drop-down menu , select the course where you want to send a message . 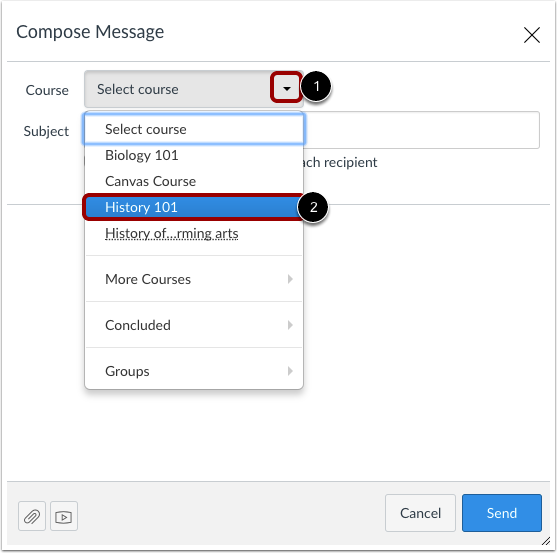 Select the option for all users in the course. To send a message to all members with a specific user role, click the name of that role  and then click the link for all users with that role . 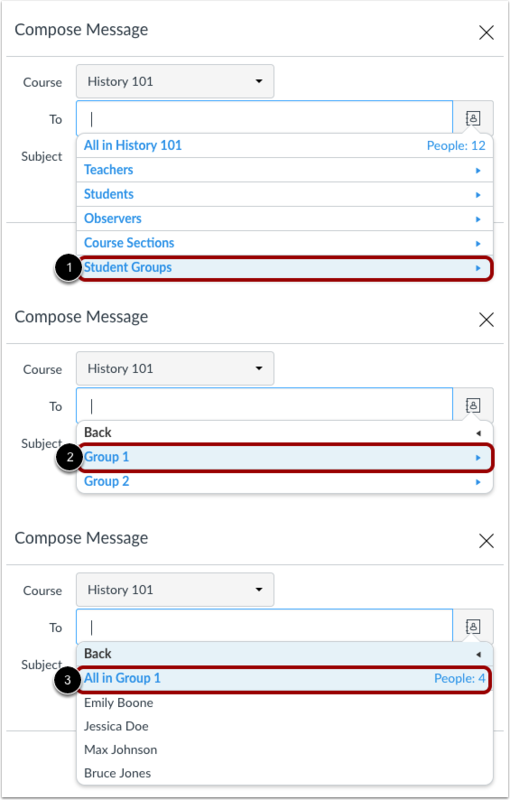 To send a message to all members with a specific group, click the Student Groups option , click the name of the group , and then click the link for all users in the group . Your message will appear at the top of your Sent folder. When someone replies to your message, the message will be shown in the Inbox. Note: You can reply to the recipient or reply-all to everyone in the class. 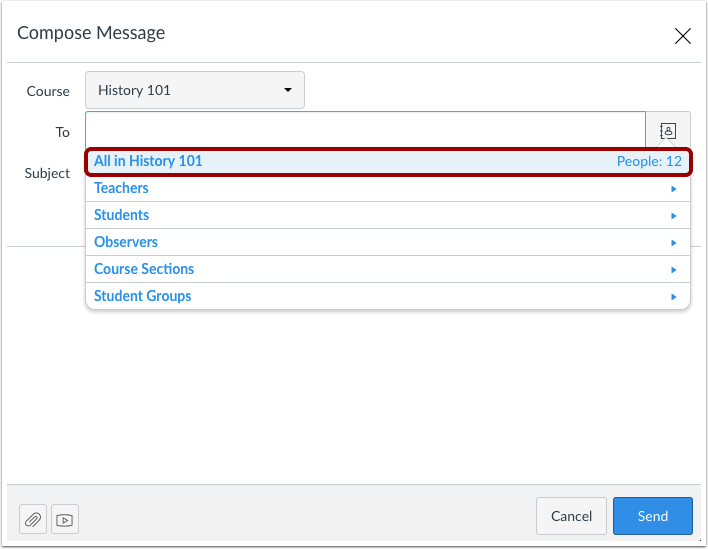 Previous Topic:How do I send a message to a user in a group in Conversations as a student? Next Topic:How do I attach a file to a message as a student? Table of Contents > Conversations > How do I send a message to all course users in Conversations as a student? Re: Sending Messages to Multiple People?